Have you always wanted to write but fear and doubt get in the way? You worry youâ€™re not good enough. You wonder if anyone even wants to hear what you have to say. Youâ€™re overwhelmed with ideas but canâ€™t focus and somehow never move closer to your writing dream. 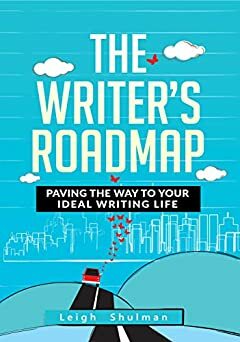 In The Writerâ€™s Roadmap: Paving the Way to Your Ideal Writing Life, writing teacher and published author Leigh Shulman shares her twenty years of experience mentoring others as they write, publish and reach their writing goals. Through stories of her personal journey, client examples and hands on writing exercises, she leads you step-by-step from where you are now to create your ideal writing life. -- How to avoid the number one reason most people never write. -- How to stop being overwhelmed and design your ideal writing life. -- Why rejection hurts so much and how to get past it. -- How to break your big scary writing dream into manageable steps so you can make it come true.